Why are Media Now Classes So Small? We keep our instructor to student ratio at 1:10 so we can give as much individual attention to each camper as possible. We know you have a number of options in how to spend your time this summer. We couldn’t be more excited that investing in your own media skills is part of that. Because we know you could have chosen to sit by the pool, work another shift at that summer job or sit around watching YouTube videos, we want to help you maximize your time with us where instead of watching videos, for example, you make them. With our small class sizes we are able to customize the experience to what you, the camper, want to get out of it. To do that, you need to come with a goal or plan in mind. Don’t know what that is exactly? Talk to your adviser before you arrive. Take full advantage of your time with our top-notch instructor staff and keynote speakers. 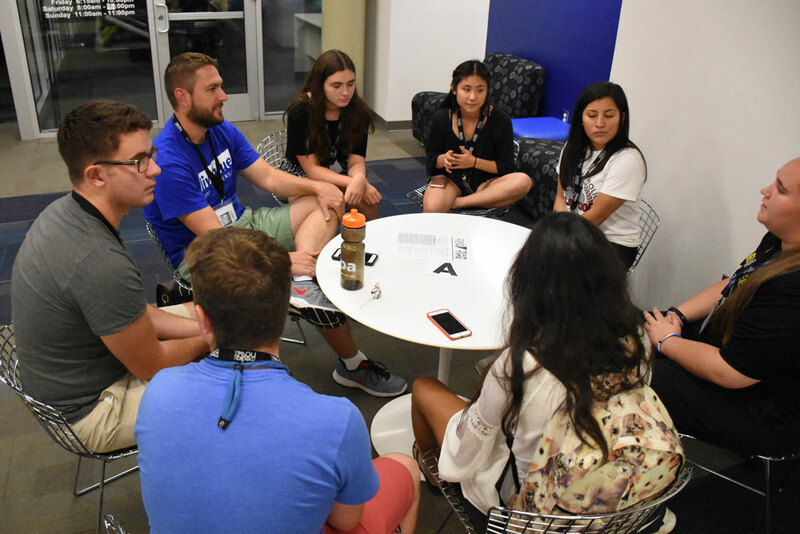 This is not only a chance for you to be a better journalist for your school, but you can make connections that will serve you throughout your career. You can tell us what you want to get out of camp in a few different ways. We will do everything we can on our part to push you to the next level in your skills. The rest is then up to you. Show up ready to soak it all in, work hard and…yes, play a little too. Another hint? Sign up EARLY. While we have a number of classes to choose from, seats are limited within each one. To get your first choice, register early. Once a class is full, we will contact you as we place you in your second choice course.